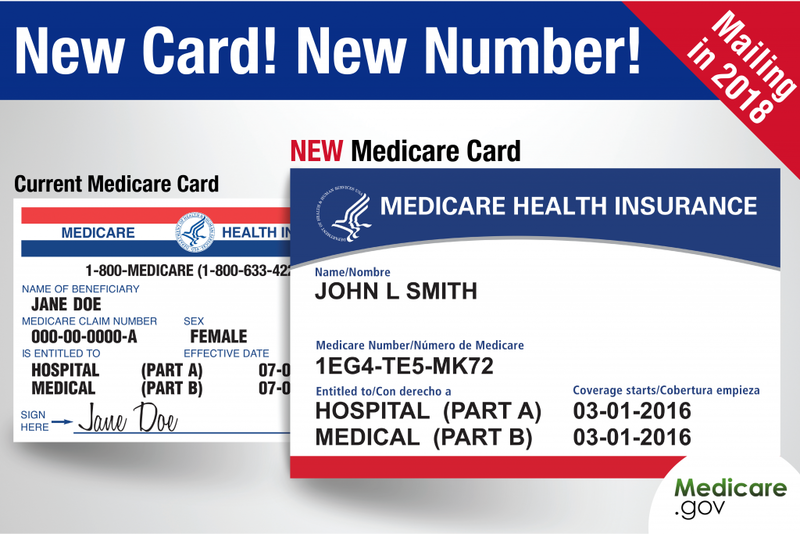 The Center for Medicare and Medicaid Services has begun an initiative to protect Medicare Beneficiaries from identity theft by switching their member id number to a non-personal identifier. Instead of Social Security Numbers and Health Insurance Claim Numbers, this unique number is expected to protect over 150 million users. 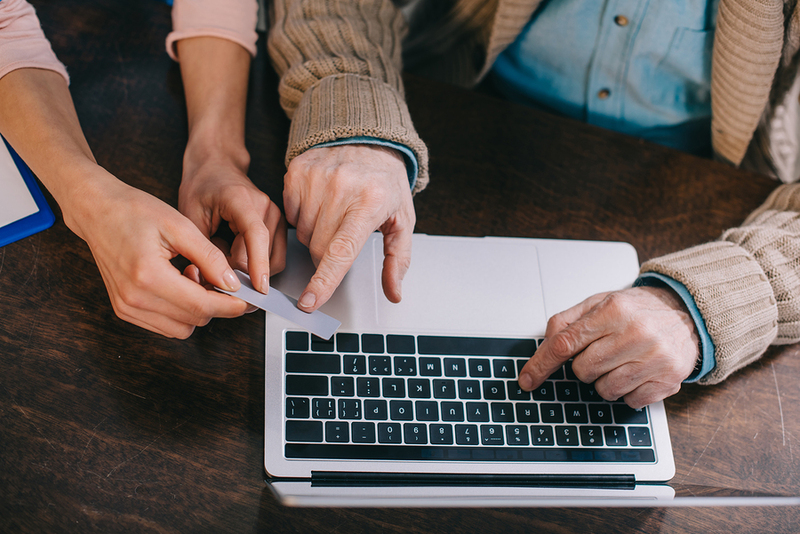 Considering 2.6 million seniors were victims of identity theft in 2014, it’s no wonder the Social Security Administration’s Office of the Inspector General has been pushing for this switch for several years. The change will begin April 1, 2018 and runs through December 31, 2019. By January 1, 2020, all Medicare Beneficiaries will have received their new cards. As with any change meant to protect, the criminals will crawl out of the woodwork looking for persons to victimize. A few reminders, Medicare will never call you uninvited nor will they call you and ask for private or personal information. Medicare will not ask for money or threaten to cancel your health benefits. Scams artists may try to get your personal information by contacting you about your new card. There are only a few situations in which Medicare will call you. Your new Medicare ID card will come to you automatically and will look almost identical to the card you currently carry. Medicare uses the name and address you have on file with Social Security, so be sure to advise them of any address changes. The card will be paper and easy for many providers to use and copy. The obvious change will be your Medicare Number. Instead of your Social Security Number, it will be a new unique identifier. Once you receive your new card, destroy your old card. Start using the new card right away. Don’t share your Medicare Number or any personal information with anyone who contacts you by phone, email or in person, unless you have given that person permission in advance. For example, Medicare customer service will only call you if they are returning your original call or promised to call you back. If you have a Medicare Advantage or drug plan, that company can call you, as can the agent that helped you sign up for the plan. Only give your personal information to those entities that you can trust to work on your behalf. Familiarize yourself with Medicare and how they use your personal information. Medicare coverage and benefits will stay the same. Your doctors, providers and facilities all know that you are getting a new unique identifier. So, you will want to carry your card with you and update your records with those health care providers you trust to work with Medicare on your behalf. The new card will be automatically mailed to you. You new card will list your new unique Medicare Number. The new cards are being mailed at different times. So, your card may not arrive at the same time as your friend’s. The new card will be easier for provider to use and copy because it is paper. Destroy your old card as soon as you receive the new card. Start using your new card right away. If you are in enrolled in a Medicare Advantage Plan, such as an HMO or PPO, that Medicare Advantage Plan ID card is your main card. If you have a Medicare plan, be sure to keep that card as well. Remember that your health care provider may still ask to see your Medicare ID card, so keep it with you. Facilities, doctors and health care provider know you are getting a new Medicare card, they will ask for your new Medicare Id number, so carry it with you. Give your new Medicare ID number to those health care providers your trust to work with Medicare on your behalf. If you forget your new Medicare ID card, your doctor or health care provider may be able to look up your Medicare number online. If you believe that you may have been targeted by scam artists trying to steal your Medicare ID number, contact Medicare directly at 1-800-MEDICARE. (1-800-633-4227) If you need help paying the out of pocket costs that Medicare leaves up to you to pay, check out this list of the best Medicare Supplement Plans for 2018 here.